Ok guys, I’m officially BACK to doing my monthly beauty round up posts and I couldn’t be happier! 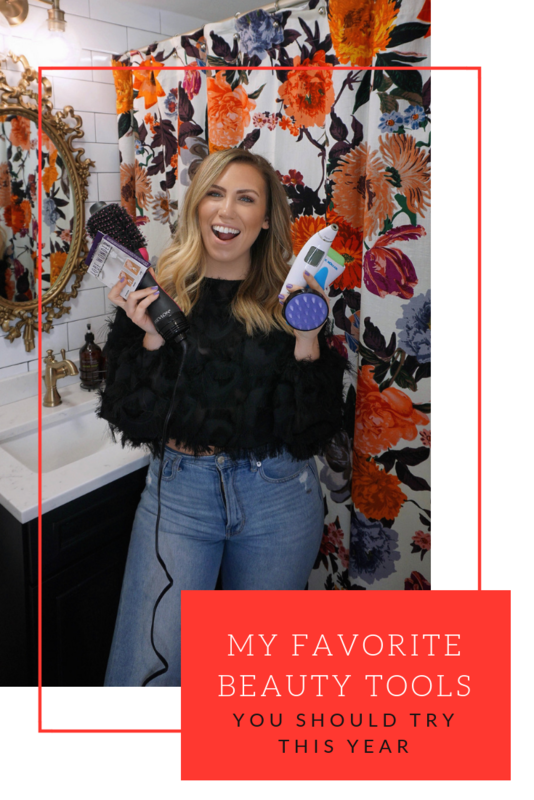 I haven’t changed up my daily beauty product routine in a while so instead I’m kicking off 2019 by sharing five of my favorite beauty tools and you should definitely give them a try this year! From haircare to skincare to a random little thing I found on Amazon that is a game changer there’s something for everyone on this list! So scroll through and let me know if you’ve tried any of these items and what you thought! First up, the Revlon One-Step Hair Dryer and Volumizer! I’ve been using this for about 6 months now and honestly I don’t know what I did before it! 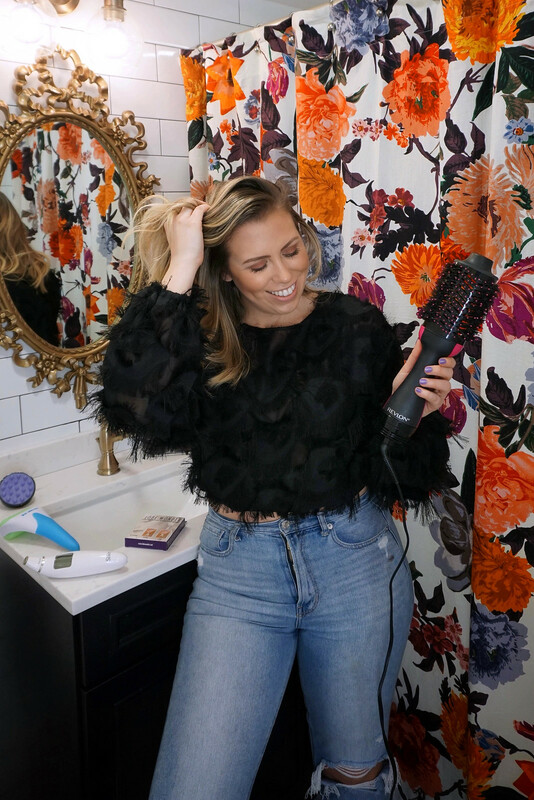 It dries my hair in half the time as a regular blow dryer, I don’t need to use any other hot tools after it and it’s SO easy to use! 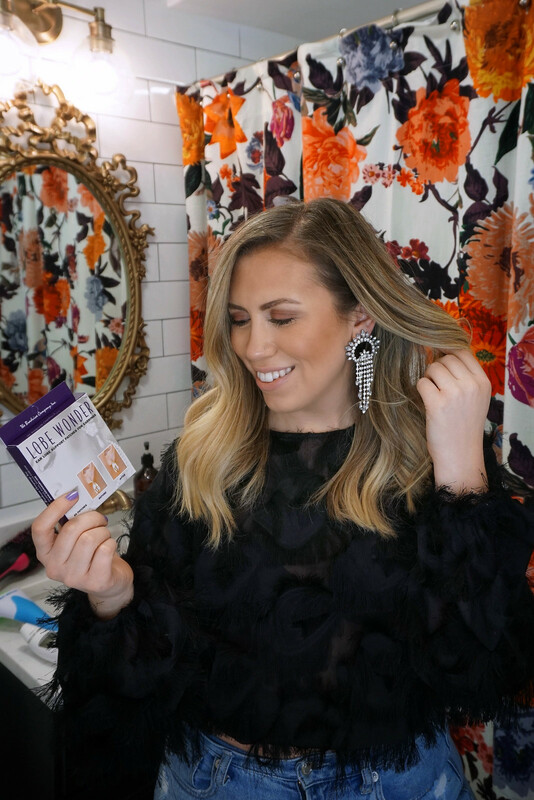 For a full review and tutorial on how to use this hair dyer check out my blog post from November, but I was also thinking of taping a video of me blow drying my hair so you can see how I do it! I got a ton of feedback from when I first talked about this hair tool last year and while most said they absolutely LOVE it, some people were unsure of how to make it work best for them so that’s why I’m thinking about sharing a video! And I know that the original post I did featuring this tool may have been sponsored, but this one isn’t and I can promise you I only work with brands and with products I truly love and this is one of them! This Silk’n ReVit Prestige is another beauty tool I discovered from working with the brand, but am completely hooked on! Like I mentioned above, I truly only work with brands that are a good fit for me and my audience and Silk’n is one of them! 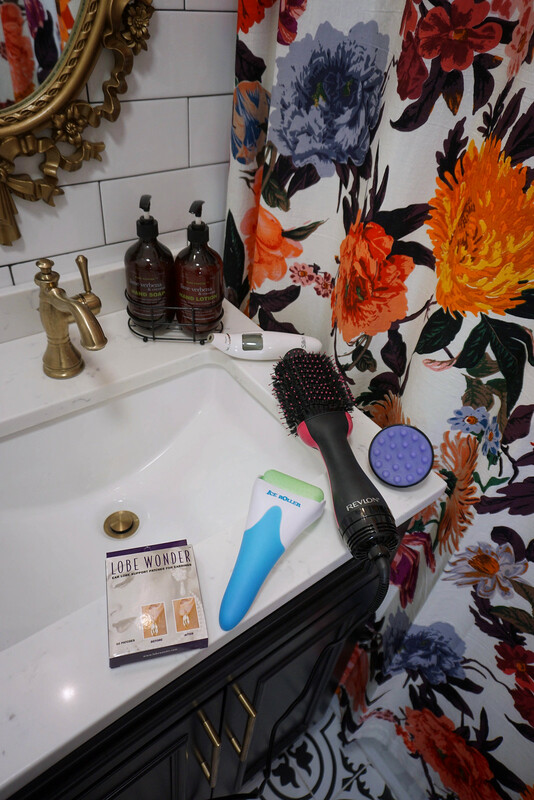 They offer really high quality beauty tools and I absolutely love every single one I’ve tried, most of all this at-home microdermabrasion device! I’ve been getting microdermabrasion treatments on my nose for years because I have extremely large pores there so when I saw a device that gave me the ability to do the treatment on myself I obviously knew I needed to have one! Using an at-home device makes a HUGE difference on my skin and if you suffer from large pores, acne scars, age spots, etc. you’re definitely going to want to read my entire review on the ReVit Prestige here! Let me tell you…I’ve bought a lot of ridiculous things on Amazon, but this might just be the best and most random item I’ve ever spent $8 on!! 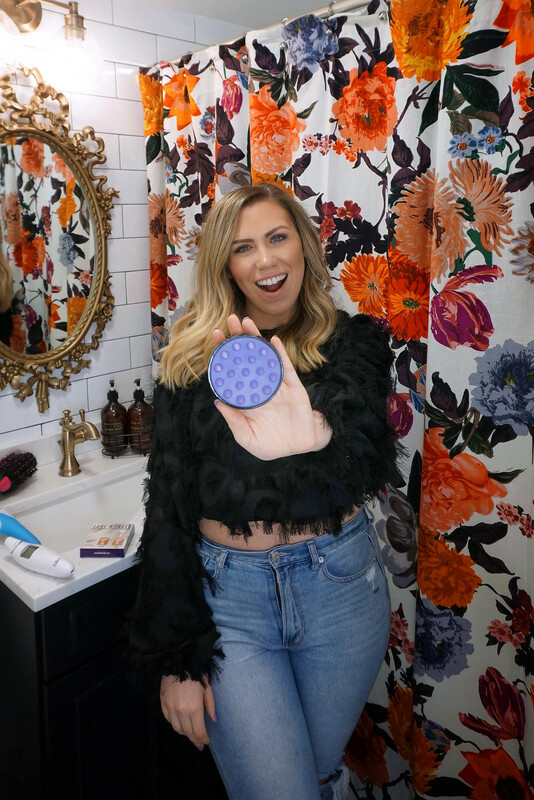 This weird silicone scalp massager/shampoo brush is a GAME CHANGER for my shower routine! I only wash my hair twice a week so when I do I need to make sure I really clean my scalp and hair and get all the product build up off! I never felt like I was doing that great of a job, and oftentimes I’d wash my hair twice, but now thanks to this little brush I no longer need to! Whoever created this is a genius and I promise you I will never wash my hair with my fingers again, and did I mention it feels like scalp massage, best thing ever! And PS it doesn’t tangle your hair, that was the one thing I was worried about before trying it and I haven’t had any issues yet! This baby is officially one of my favorite beauty tools of ALL time! So this one isn’t technically a “beauty tool”, but at the same time it kinda is because no one wants saggy earlobes. I wear a lot of large and oftentimes heavy earrings and using these little earring support patches they’re so much comfortable to wear! 60 patches come in a pack and all you do is put one of the back of each lobe and wear your earrings as normal…that’s IT! And they’re pretty sticky so you can actually leave them on for a few days in a row if you wanted! And last but definitely NOT least…the infamous ICE ROLLER! Another amazing invention that I don’t know how I lived without for so long! Only $12 and great for face puffiness, headaches, pain relief, shrinking pores and so much more! 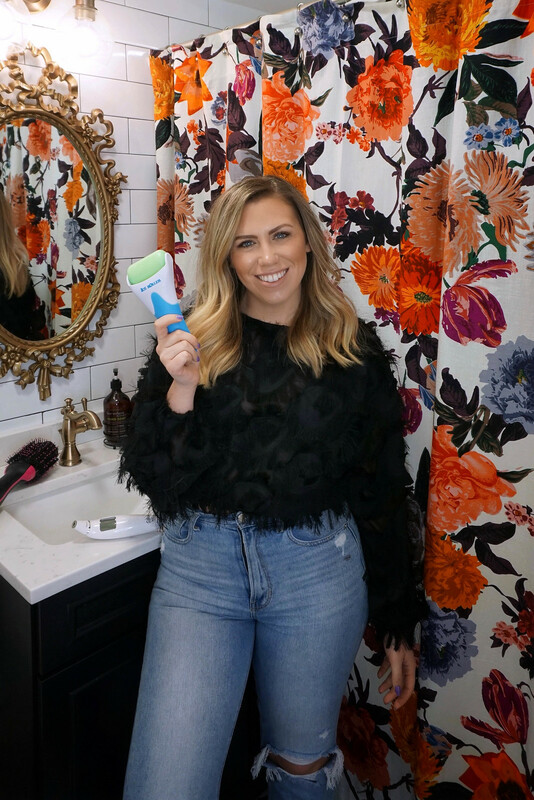 I’ve been using a jade roller for a few months (and still do, I love using it to roll skincare products into my skin better), but this ice roller has quickly become one of my favorite beauty tools! I’m actually think of doing a post comparing the jade roller and ice roller, so if you’d be interested in that let me know and I’ll start working on it! Are any of my favorite beauty tools on your must have list too? Check out the BEAUTY menu on the top of my blog for more reviews + shop all my beauty essentials right HERE!